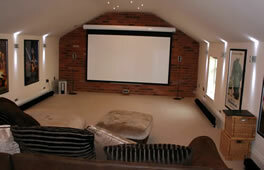 Below are some examples of our cinema rooms. 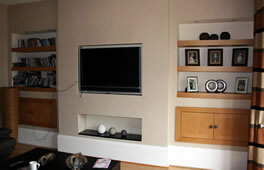 The first room shows veneered doors with inlay pattern, together with tongue and groove oak panels, granite worktops and upstands and a mirror panel behind the tv. This example is in a well-known Birmingham Theatre. 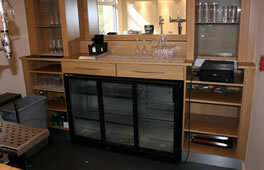 A second example shows a simple design with chunky oak shelving and built-in meter and storage cupboards. 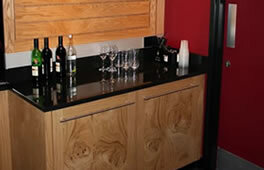 A third example shows square-edged vertical granite doors with granite surfaces and oak veneered shelving. 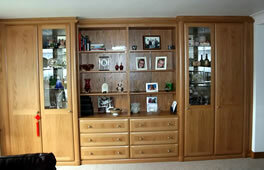 The fourth room shows a smooth Shaker painted ivory doors with modern square handles and oak veneered upstands. 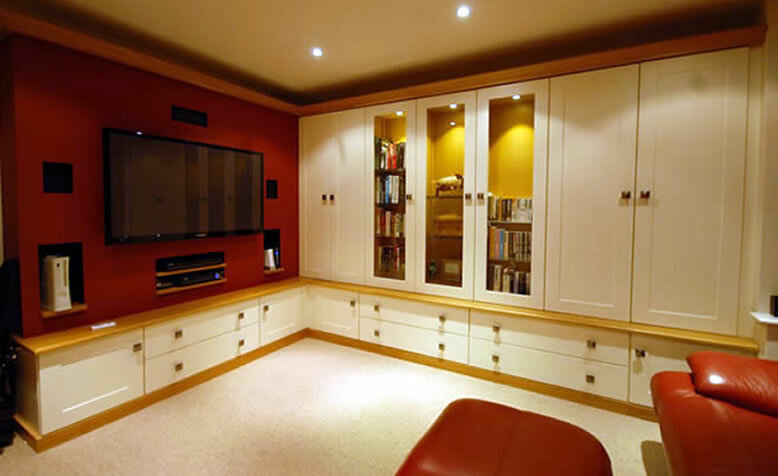 The last cinema room shows a large capacity storage unit in a small area incorporating a smooth painted Shaker door and real wood veneered shelved surfaces. 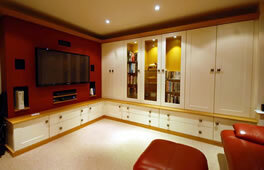 We can help you plan your new Cinema Rooms/TV Rooms and lighting. Cinema Room Veneered doors with inlay pattern. 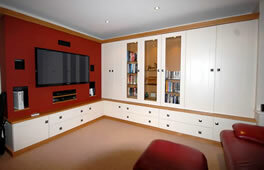 Cinema Rooms Veneered doors with inlay pattern. Cinema Rooms Living Room Unit. Cinema Room in a Birmingham Theatre. 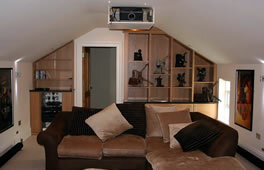 Cinema Rooms with chunky oak shelving. 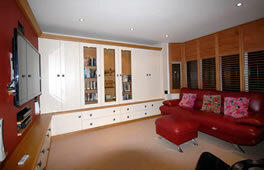 Cinema Rooms Shaker painted ivory doors. 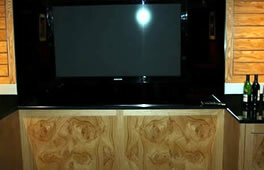 Cinema Room Real wood veneered shelved surfaces. 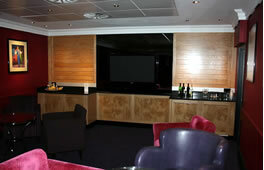 Cinema Rooms Real wood veneered shelved surfaces. Cinema Rooms Shaker door and Real wood. 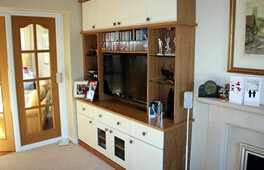 Cinema Rooms Oak veneers with high-gloss wrapped doors.